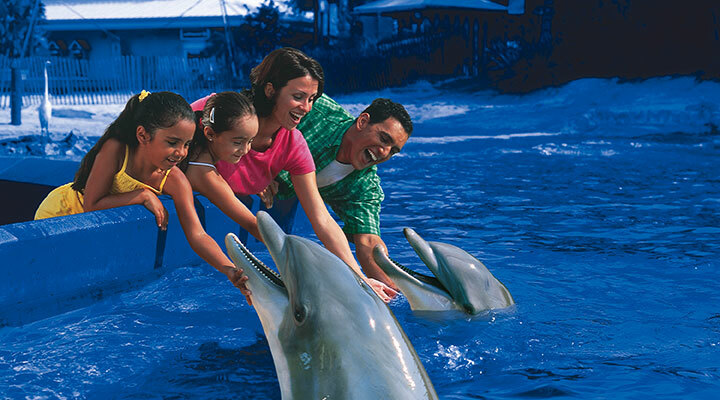 Book your Orlando SeaWorld vaction today! SeaWorld Orlando: This is the most like a theme park of the three parks. Here you’ll find aquariums, exhibits, shows, roller coasters and other rides. It’s where you’ll find the famous Shamu and so much more. Of all three parks, this is the largest in size and offers the most attractions. Here you can be a part of the sea all without getting your feet wet. Discovery Cove: While SeaWorld gives you an incredible glimpse into the sea, you’ll actually get into the sea at Discovery Cove. This park lets you get into the water with sealife. Because of the up-close-and-personal nature of this theme park, there is a limit of how many attendees can visit each day. Aquatica: Aquatica is SeaWorld’s water park, which only seems fitting. You’ll find a combination of traditional water park features like water slides, lazy rivers and a wave pool. However, these elements are seamlessly weaved with sealife. For example, one water slide takes you right through a dolphin exhibit! However, at Aquatica, you won’t ever actually be in the exhibits with the animals. It’s a perfect place to escape the heat and get wet! A visit to any of the SeaWorld Parks and Resorts Orlando will make you wish you were visting them all. Make sure you do by purchasing a resort ticket. Not only will you get the best value, you’ll be able to experience everything at all three parks. Also, be sure to make your reservations for Discovery Cove early. You won’t regret it! SeaWorld Orlando is home to hundreds of animals, with a mission to conserve, rescue, rehabilitate and educate. It's also home to hair raising roller coasters and other attractions. 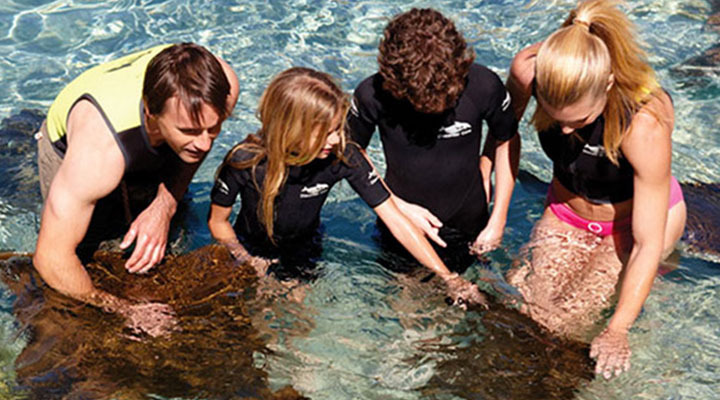 SeaWorld Orlando is the perfect blend of learning and adventure. Aquatica Orlando is one of three parks composing SeaWorld Orlando Parks and Resorts. This is so much more than a water park. 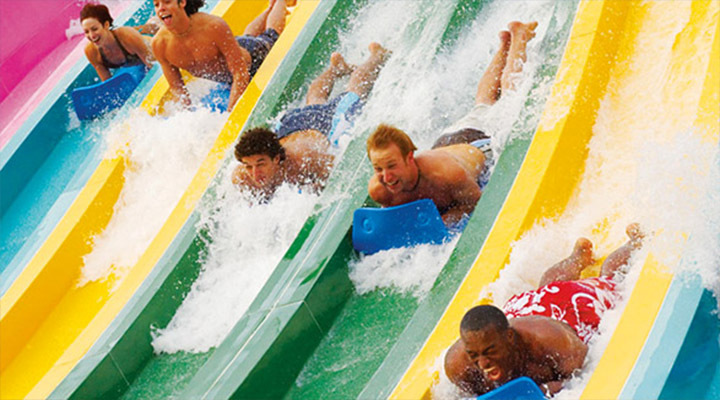 Take a day to cool off at Aquatica during your Orlando vacation. This all-inclusive theme park will completely immerse you in the land of the sea. Swim with dolphins or relax on the white sand beach.